Discussion in 'Prayer Requests' started by DancerDude0118, Feb 10, 2017. DancerDude0118 Slow your roll, Sparkle. This is scary. Hoping for her safe return. What??? This is horrible! Isn't there a custody agreement? I know police consider it a civil matter and won't help , but if there's a court order in place, he's in for it. Hopefully she's not in danger and is able to communicate with her mom. Ugh. I'm so sorry. Trying to find words to say but I can't. It's heartbreaking. Praying for the both of them, hope J is alright and comes home soon. This is surreal. I just blasted this to my gym. Praying she is returned unharmed as soon as possible. Hope mom is okay, daughter is okay and everyone is safe. Sounds like a horrific ordeal. This is absolutely terrible. Sending her lots and lots of love! Please please keep us updated. cheer25mom Slow your roll, Sparkle. This is horrible. Praying for them. Yes there is a court order in effect. @TheVipersMom I hope this works out for you and that J is okay. Prayers to @TheVipersMom and J. If you need a pro bono family law attorney, pm me with the city and state where you want to enforce the court order. I will check within my network to try and find someone willing to assist. This is heartbreaking. 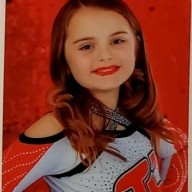 My heart goes out to Jaelyn, her team and her mom. Any updates? I've been thinking about them all day. Just saw the news on Twitter. All my love to @TheVipersMom.